Setting up a modern office means thinking about how your employees do their best work. __What you'll find inside:__ - Ways to design the office space around your employees and support their daily activities. - Advantages of a flexible office space to both the business and the employee, with examples from well-known companies of all sizes. - Methods to combat open office space roadblocks and common complaints. 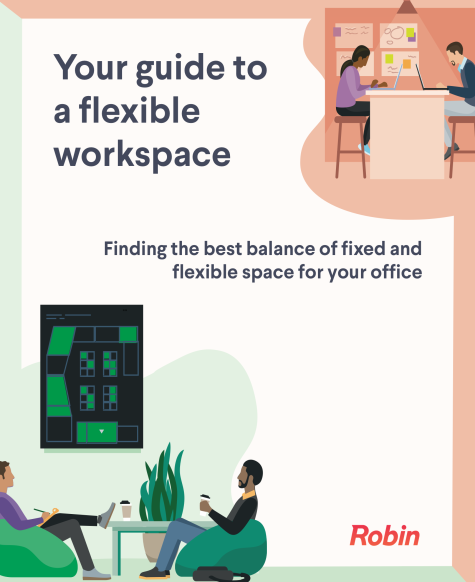 Identify what types of fixed and flex space your employees need to get their best work done with specific examples from Herman Miller, BlueJeans, Pendo, and more. Use the advice and research to design the right amount of spaces to support activity-based working. 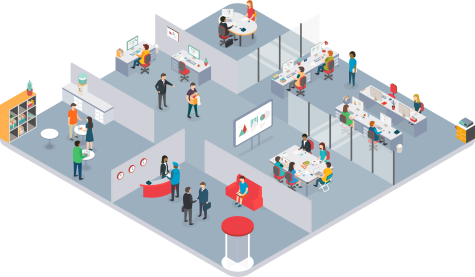 It’s been proven that open offices are a productivity drain, when combined with the wrong design and flexible workspaces. 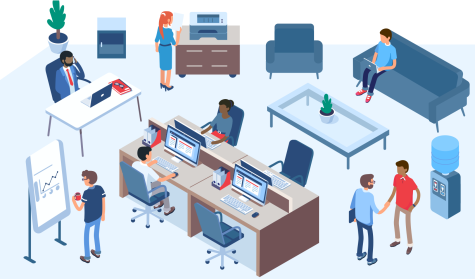 Find out what steps you need to take to avoid the ills of the open office layout and increase employee happiness and productivity by providing the freedom of choice. © 2018 Robin Powered, Inc.